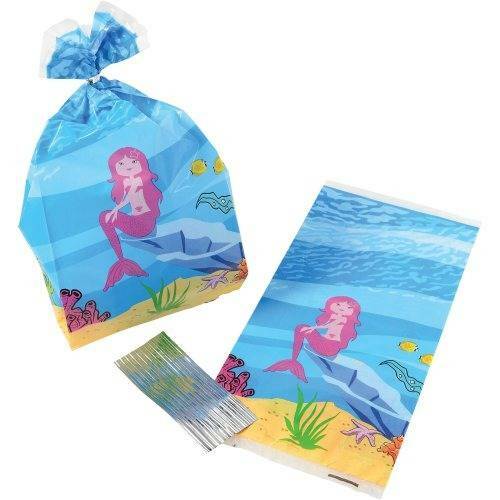 Measures 11"T. x 5" W.
Make a splash at your next party or event with these cute mermaid cello bags. Great for any event these cello bags are perfect as goody bags for your guests young and old. Fill them with candy, small toys, or whatever your heart's desire and give them away as party favors.